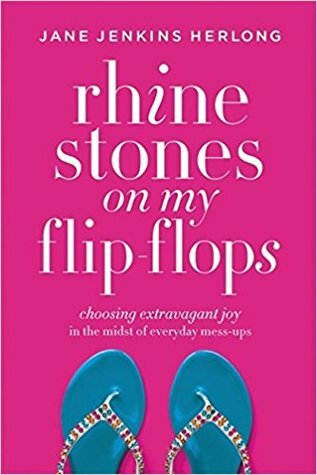 RHINESTONES ON MY FLIP FLOPS offers the message Jane lives by: prove people wrong and laugh while living your dreams. As a nationally recognized Southern humorist, wife, and mother, Jane provides scriptural take-home wisdom and common-sense timeless truths. The purpose of RHINESTONES ON MY FLIP FLOPS is two-fold: to remind readers about biblical women who faced change and to provide life lessons about handling change that will benefit every woman. This book is designed to hit the heart with teachable stories that will encourage, inspire, and create laughable, honest moments. The book's common-sense, biblical answers will help women confidently face another day with empowerment and to pass their wisdom to the next generation. Grab your pair of favorite flip flops, your southern charm and get ready for some deep belly laughs. 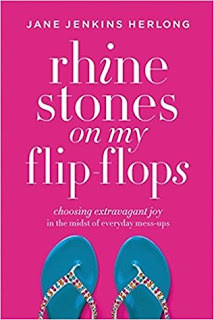 Rhinestones on My Flip Flops is full of Biblical wisdom, humorous stories and some of the most ridilous funny things that you will ever read. However, if you think this book is all about the giggles, you will be sadly mistaken. It also has deep moments of truth and heart ache. You will find yourself in tears, but mostly laughter. What I loved about Jane was how she wrote this book in a way that makes the reader want to seek more Biblical truth in their every day life. Allow this book to help you seek the scriptures further, deepen your faith and help you apply Godly principals into your everyday life. I loved this book and I know you will too. It is one to keep on the shelf to read again and again for different seasons of life. I give this book 5/5 stars! Thank you to the publisher for providing a complimentary book for review. 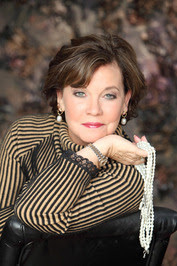 From the tomato fields of her native Johns Island, South Carolina all the way to runway of the Miss America Pageant, Jane's contagious optimism helps audiences learn how to handle difficult life situations with a sense of humor and grace. Through really funny original Southern stories and award-winning singing audiences learn life-skills dealing with stress to achieve more success. Jane travels across the country and has spoken in New Zealand and Germany. She is fluent in four langues: English, Southern, Northern and Gullah. Jane's story of overcoming being labeled Dyslexic and other challenges give audiences a recipe for balancing their own personal journey with humor and hope through folksy wisdom-Southern style. As a professional singer, Jane has recorded multiple CDs including her Big Band, Gospel and Broadway CD entitled, "Favorites." In addition, Jane has recorded her CD of Christmas Classics entitled, "The Spirit Of Christmas" along with numerous live recording of her comedy and live speeches that are available on iTunes and Pandora.